*Single side control both side unlocked safety,arm locks with tooth type ratchet,multi safety device,more reliable. packge with plastic to avoid rusting and outer wooden case fixed. Established in 2012, Guangzhou Road Buck is a joint wisdom of a Chinese company Guangzhou Consun and Italian Cormach srl which is a well known leading garage equipment giant. Dedicated in the research, development, production, sale and service of automotive maintenance equipment, our quality products are wellaccepted by customers around the world. In 2013, Road Buck has quickly become the most valuable auto detecting equipment brand globally. Road Buck successfully launched an age influencing Road Buck Mini wheel aligner in 2013, which brings more special experiences to users. “When there is a need, there is Road Buck”, this company mission encompasses a team spirit with enterprise, confidence and optimism, and also a meaning of unceasingly selftranscending and relentless pursuit of excellence, which fully represents the professionalism of the aspiring Road Buck stuff. 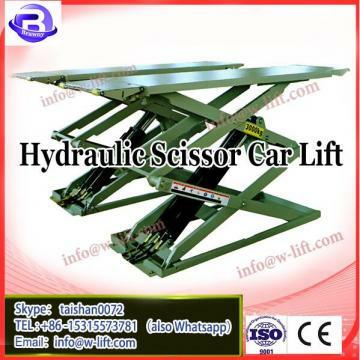 hydraulic scissor car lift is one special type scissor lift for car storage or mainain. You can find it normally in 4S shop, exhibition hall, which also used widely in home or apartment garage indoor or outdoor. 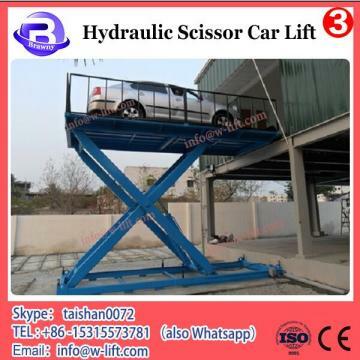 Pit mounted installation can save much space above ground, and Guangzhou roadbuck double level hydraulic scissor lift for four wheel alignment provide convinient access for car. Guangzhou roadbuck double level hydraulic scissor lift for four wheel alignment is specifically designed for the transportation of Cars, with many wide door opening modes and spacious yet sturdy car, suitable for the transportation of large cars and ensuring the safety when passengers and cargoes both present in the car. Technically,hydraulic scissor car lift advanced CPU control is applied, realizing contact free control to elevate the performance of the elevator, making it the best choice for cargo transportation in factories, workshops,warehouses and malls, etc. 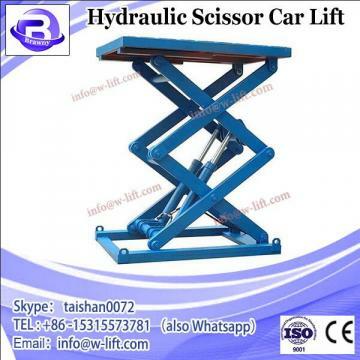 hydraulic scissor car lift Special structural design, small area, high-quality steel material, strong four cylinder structure. Thin structure,Guangzhou roadbuck double level hydraulic scissor lift for four wheel alignment can save more space for maintenance service personnel to make the operation more convenient.